I enjoyed a good start to an Arsenal save back in May which I made a career for on here but my laptop died on me so I had to abandon it. With the transfer window shut I'll be starting a new game with Arsenal again with the likes of Welbeck and Alexis involved. I don't know how long I'll stick with this one but I'll try and keep it active for a while. Arsène Wenger believes that Arsenal's dramatic 3-2 victory over Hull City in the FA Cup final in May will inspire his squad to win further honours in the new season. The legendary French manager had overseen nine trophy-less seasons at the club as transitioned from the old Highbury home to the new Emirates Stadium before his fifth FA Cup triumph at the end of the last campaign. However, with that particular monkey now firmly off of the club's back, Wenger believes that the Gunners can now push on and achieve even more honours in the years to come. Arsenal are also boosted by a much stronger financial position thanks to newly signed commercial deals that come into effect from this summer. 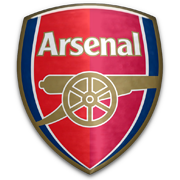 "Of course when you spend so long without winning a trophy can become difficult and the belief can decrease to a degree, but now that we have won a trophy the players will believe much more in our long-term prospects" said Wenger, who has been with the North London club since 1996. "We are now in a position where lots of the younger players are beginning to reach their potential and we do not need to sell to buy any more. Financially we are stronger and on the pitch the squad will be inspired by the FA Cup win to go and repeat that success". The club's new financial prowess has best been proved by the £32m acquisition of Alexis Sánchez from Barcelona who agreed to join the Gunners despite interest from Liverpool and Juventus. The Chilean is one of five players to have already joined the club this summer, with Arsenal having already spent over £70m on Sánchez, Calum Chambers, Mathieu Debuchy, Danny Welbeck and David Ospina. "It is much nicer for me now to be able to "no" to teams who want to buy our players - we can focus more on bringing others in rather than losing our best players. This was not the case for a few years". 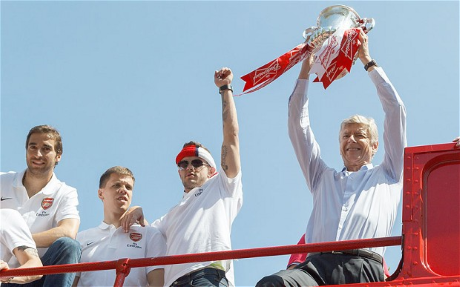 "It does feel like a new era for Arsenal and we hope the FA Cup is just the start". Arsène Wenger looks set to bolster his squad for the sixth time this summer after drawing up a list of potential targets to replace Thomas Vermaelen in the centre of defence. The experienced Belgian swapped North London for Barcelona this summer after a difficult final season at the Emirates meaning Laurent Koscielny and Per Mertesacker are the only experienced centre-halves remaining at the club. Wenger has already added Calum Chambers to his ranks and whilst it is thought that he sees the 19-year-old's long-term future in a central position, the young Englishman has never played there in the Premier League to date. The departure of right-back Bacary Sagna to Manchester City has also given Wenger more cause to act as the Frenchman often provided cover in defence when needed. 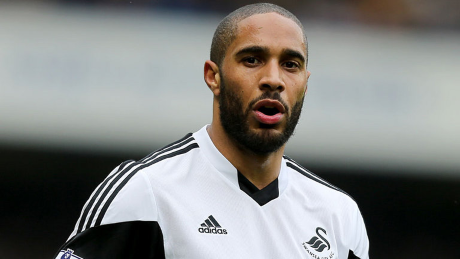 The club's scouts are currently amassing a list of targets for the veteran manager to mull over but it is thought that West Ham's Winston Reid and Swansea City skipper Ashley Williams are favoured due to their experience in the Premier League and relatively low prices. A move may also be on the cards for Borussia Dortmund's Serbian defender Neven Subotić who is reportedly on the market after the arrival of one-time Arsenal target Matthias Ginter at the Westfalenstadion this summer. Wenger has shown already this summer that he is not afraid to spend money this window with five new players having already arrived at the club, with the most notable arrival being Chile's World Cup star Alexis Sánchez who moved from Barcelona in a £32m deal. Arsenal have been dealt an early pre-season blow after their 18-year-old winger Serge Gnabry was ruled out for the rest of the calendar year with a broken leg. Gnabry, who recently signed a new long-term contract with the club, suffered the injury after an accidental collision in pre-season training. The midfielder will now see a specialist and will not return for the foreseeable future. The German winger made a name for himself in the Premier League last season after injuries to Theo Walcott and Alex Oxlade-Chamberlain provided an opportunity for him to feature in the first-team on a number of occasions. The highlight of his season came in an away win over Swansea City last autumn after he opened the scoring at the Liberty Stadium as the Gunners went on the record a 2-1 victory. It was thought that he was likely to go out on loan ahead of the new campaign in order for him to play more regularly elsewhere. • Wenger: "Raphaël is arguably the best young defender in Europe"
Arsenal have further signalled their intent to build on last season's FA Cup win with more silverware by completing the audacious signing of Raphaël Varane from Real Madrid for £23m. The French centre-half has become the club's sixth signing of the summer and his arrival has taken the Gunners' spending close to the £100m mark. It had appeared likely in recent days that Arsenal would move for another centre-back following the departures of Thomas Vermaelen and Bacary Sagna to Barcelona and Manchester City respectively earlier in the window, however it seemed unlikely that the club would go for a player of Varane's calibre given Wenger's trust in Laurent Koscielny and Per Mertesacker. It also appeared unlikely that Real Madrid would sanction a deal for one of their most promising players but after Arsenal made their interest known and the player admitted his desire to open talks, a deal was quickly agreed. Varane will offer significant competition for Koscielny and Mertesacker's first-team spots and will likely feature heavily for the Gunners in the long term with both centre-backs who are currently at the club soon to enter their thirties. The 21-year-old will wear the #5 jersey for Arsenal this season. 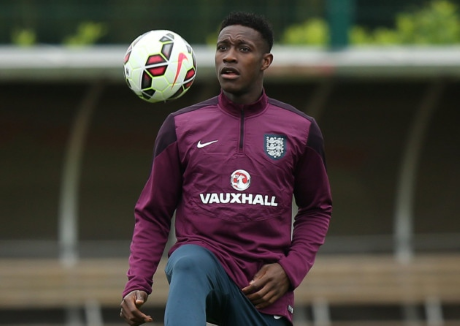 Danny Welbeck may have to wait until the beginning of October to make his competitive début for Arsenal after a hip injury ruled the striker out of contention for the next three months. The 23-year-old, who joined the Gunners from his boyhood club Manchester United in a £16m deal this summer, broke down in training yesterday afternoon after expressing discomfort when running. The injury means Welbeck will definitely not be able to feature for his new club in early season clashes with Liverpool and Manchester City, as well as the start of the Gunners' Champions League campaign should they qualify next month. He could, however, be back in contention for Arsenal's away trip to face Chelsea at Stamford Bridge on October 5th. Until then it looks likely that Olivier Giroud will keep his starting spot up front for the club although the likes of Alexis Sánchez and Joel Campbell remain alternative options up front for manager Arsène Wenger. 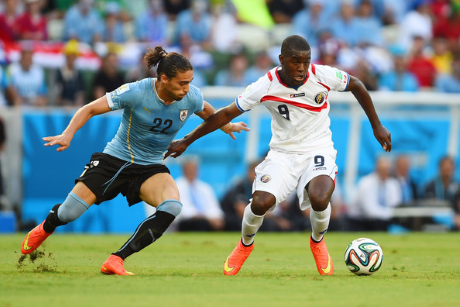 Arsenal today helped end speculation that their World Cup star Joel Campbell was set to leave after announcing that the Costa Rican had signed a new long-term contract with the club. Campbell, 22, had only one year remaining on his previous contract which he had signed when he first joined the club from Deportivo Saprissa in 2011 and was reportedly a target for a number of clubs around Europe. However, having spent the last three seasons on loan at Lorient, Real Betis and Olympiacos before impressing at this year's World Cup, Arsenal manager Arsene Wenger has seen it fit to offer the versatile forward a new long-term contract to avoid losing him on the cheap. It is thought that Wenger sees Campbell as an important part of his side ahead of the coming season and the club's fans hope that he can have a similar sort of impact that he has had for his country on the international stage. Despite being on the club's books for three years, Campbell has yet to make an appearance for the Gunners and he will be hoping that he can fight his way into Wenger's side for the Community Shield match against Manchester City next month.